Crispy, cheesy baked mozzarella sticks – Easy to make, and so much healthier than traditional fried mozzarella sticks. This recipe is what I like to make on a movie night or when I have friends over for drinks. 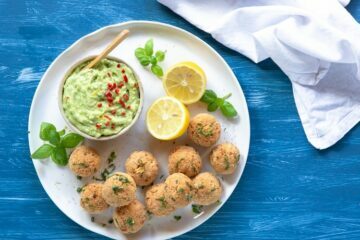 These tasty mozzarella bites disappear within seconds, and are effortlessly easy to put together. 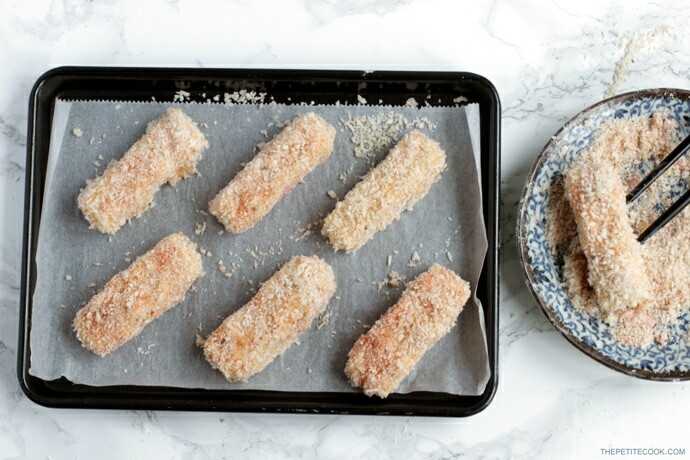 Crunchy on the outside, and deliciously melt-in-your-mouth on the inside, baked mozzarella sticks are so simple, requiring just 5 ingredients, and come together in just 30 mins. Easy peasy and so yummy. 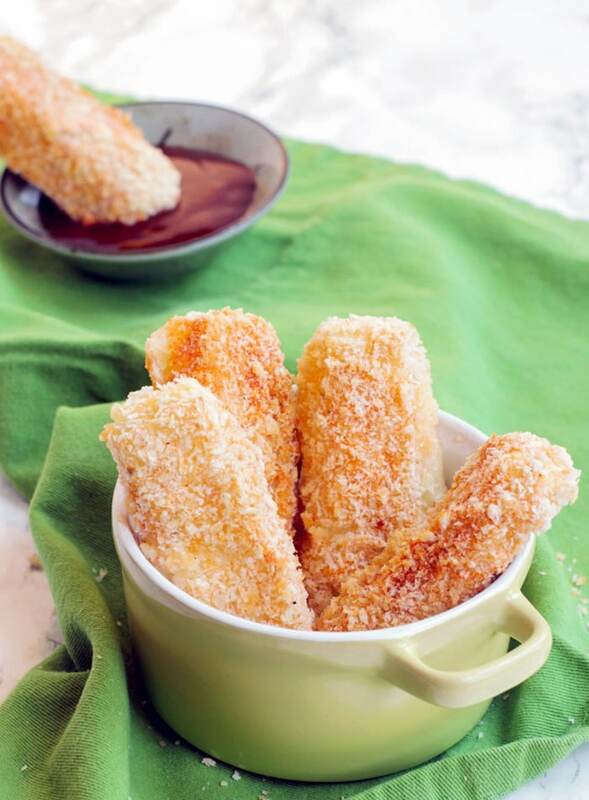 Once you try this homemade healthier version of mozzarella sticks I promise you’ll never buy store-bought cheese sticks again because these are so quick and delicious. Most importantly you know exactly what goes in. 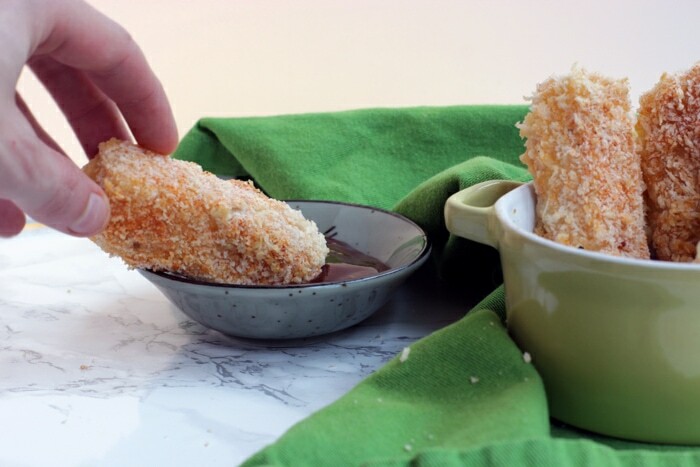 Making healthy baked mozzarella sticks is easier than you can imagine. Start by cutting the fresh mozzarella into sticks. You can opt for a mozzarella block, which is often used to top pizza, or fresh mozzarella balls. If using the latter, make sure to drain very well the mozzarella, then cut into sticks and pat dry with kitchen paper. Freeze the mozzarella sticks while you put together the rest of the ingredients. Arrange in a bowl the eggs beaten together with a little water. In a second bowl arrange the flour and in a third bowl mix together panko breakcrumbs, salt, pepper and paprika. Dip the mozzarella sticks first in flour, then in egg mixture, and finally into seasoned breadcrumbs, making sure each stick is evenly coated. You can help yourself out with two spoons or my weapon of choice, chopsticks. Repeat one more time, until your sticks are completely coated in breadcrumbs ( this will prevent leaking while baking). Arrange the mozzarella sticks on a non-stick baking tray and spray with a little oil. Bake until crispy and golden brown. Serve immediately whilst still hot and gooey, with your favorite dips on the side. I like to serve my baked mozzarella sticks with simple or spicy basil ketchup, but you can also opt for a traditional homemade mayonnaise. Or simply serve them as they’re, these tasty bites are just as delicious on their own. 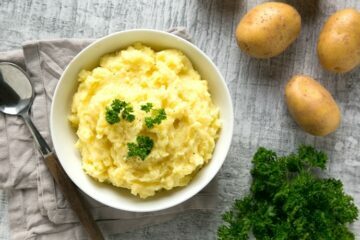 Whether you’re looking for an easy-to-make party food, or a simple vegetarian starter for the upcoming holidays ( Thanksgiving, Christmas and New Year’s Eve are just around the corner! ), these crispy baked mozzarella sticks will make a showstopping treat to share with family and friends. I hope you give these tasty mozzarella sticks a try! If you do, please leave a comment below and let me know how you liked it! Or even better, take a picture, tag it #thepetitecook and share it on Instagram! Looking at your yummy creations always makes me smile :)! Crispy, Cheesy Baked Mozzarella Sticks - Easy, simple vegetarian appetizer ready in 30 mins, so much healthier than traditional fried mozzarella sticks. Preheat oven to 180C/350F and arrange rack in upper third of oven. Cut the mozzarella into 1inch large sticks. 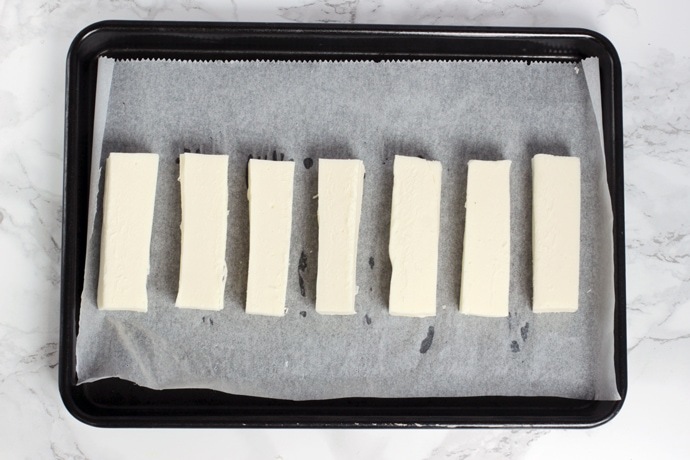 Freeze on a baking tray covered with parchment paper and lightly sprayed with oil, for 10 min. 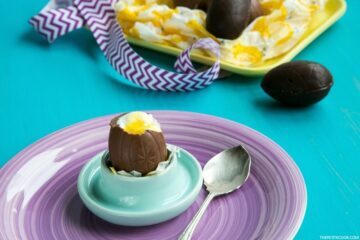 Arrange in a bowl the eggs beaten together with water. In a second bowl arrange the flour and in a third bowl mix together panko breakcrumbs, salt, pepper and paprika. 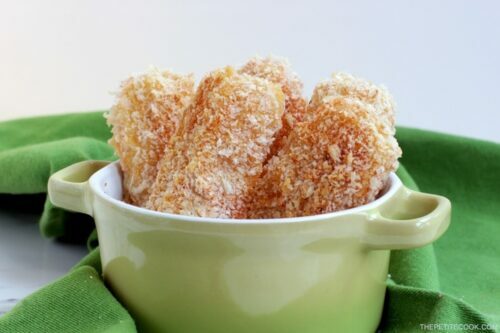 Dip the mozzarella sticks first in flour, then in egg mixture, and finally into seasoned breadcrumbs, making sure each stick is evenly coated. 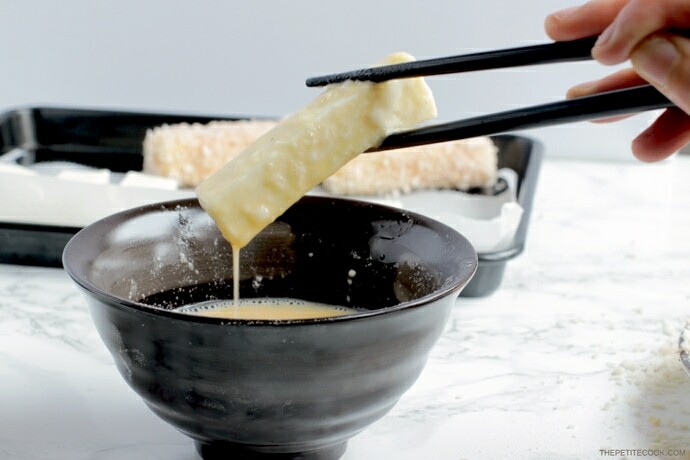 You can help yourself out with two spoons or chopsticks. 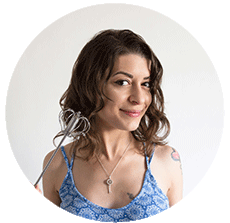 Repeat one more time, making sure your sticks are completely coated in breadcrumbs ( this will prevent leaking while baking). Arrange the mozzarella sticks on a non-stick baking tray and spray with a little oil. Bake 5-7 minutes, then turn and cook another 5 minutes until crispy and golden brown. Serve immediately while still hot and gooey. Can I freeze these before baking?